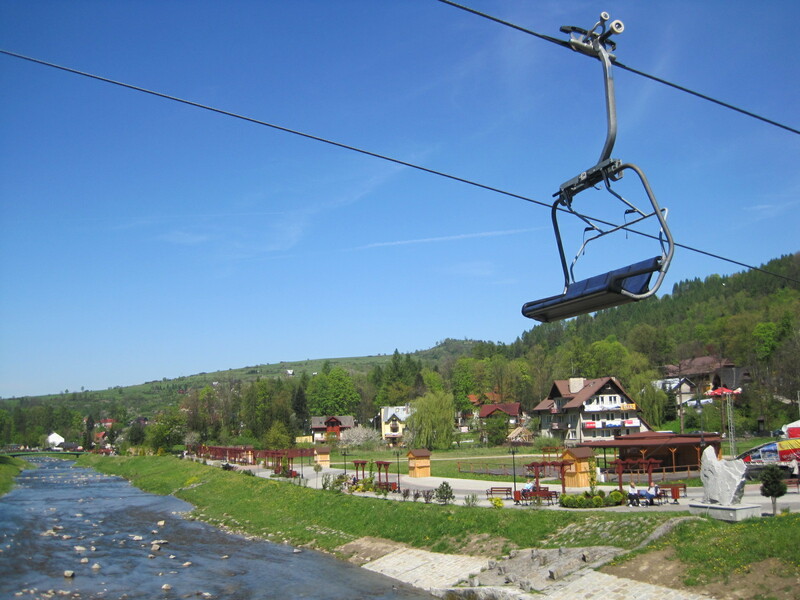 Shall we start at the chair lift? To be fair, I have so many photos it’s hard to know where to start! 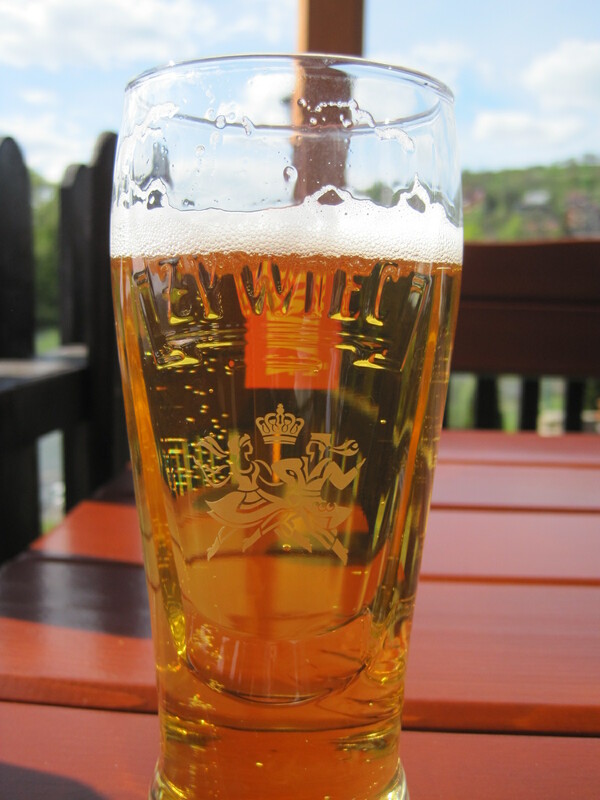 After the wedding, my Polish family were wonderfully indulgent of my wandering ways. 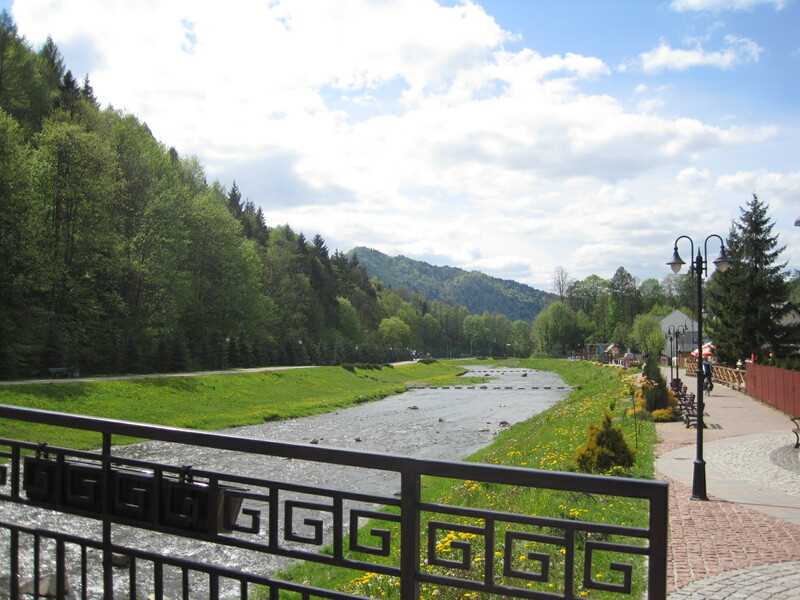 I had booked into an old wooden villa for a couple of nights, in the upper part of the thermal spa town of Szczawnica, right down on the border with Slovakia. Why there? 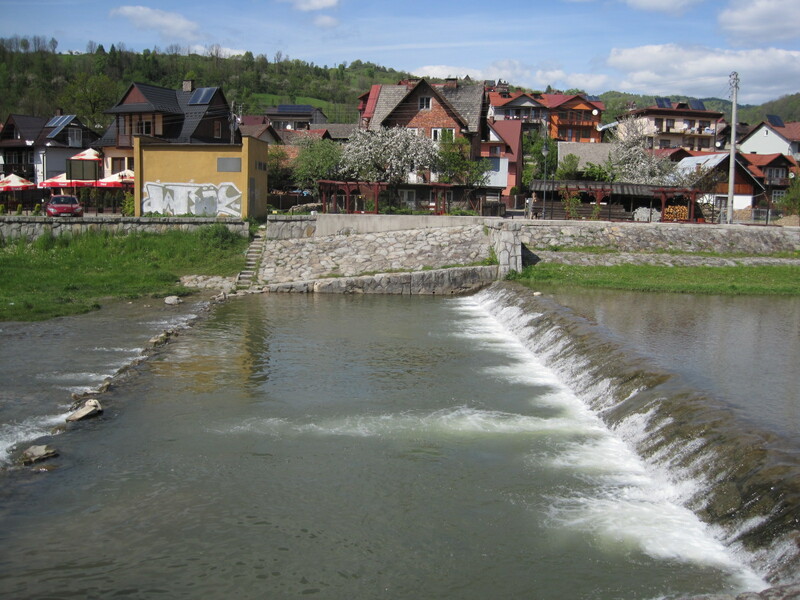 Well, I already knew that the scenery in nearby Zakopane was beautiful. 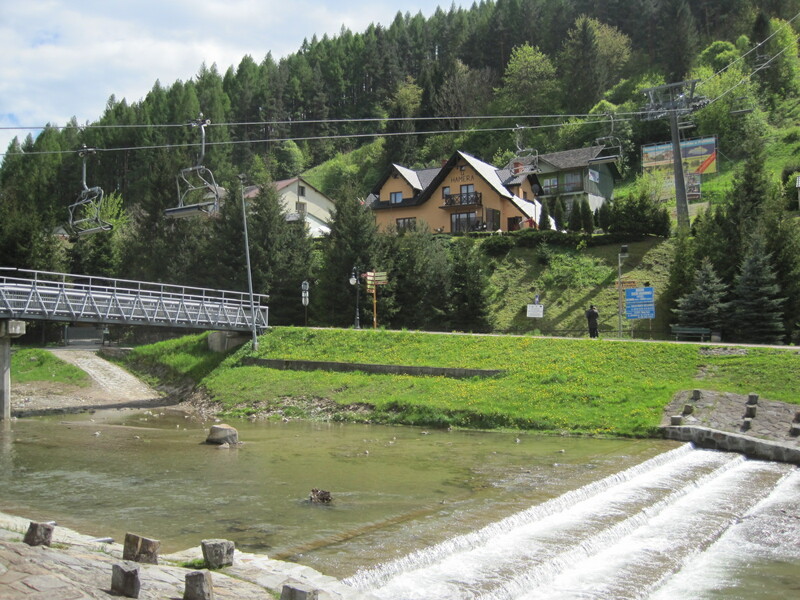 Part of the Tatra Mountain range, it is renowned for Summer hiking and for Winter sports. 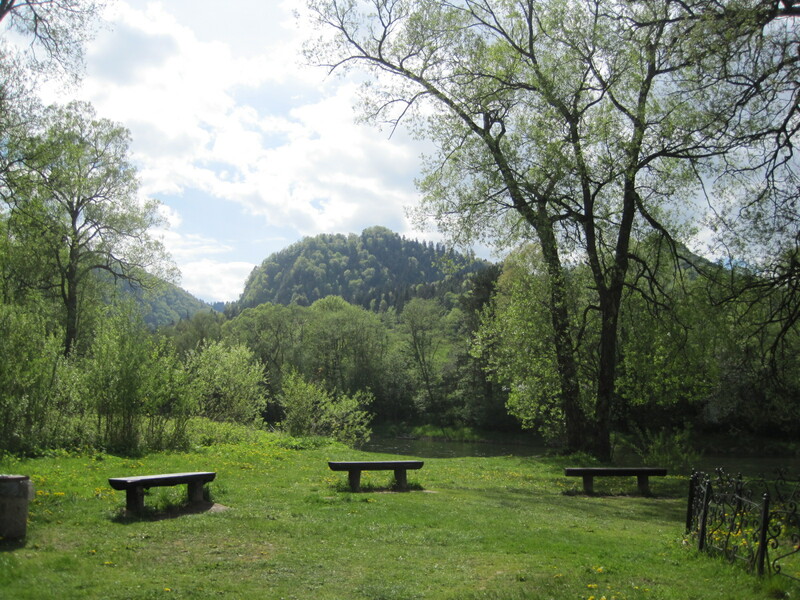 But, as always, I wanted to see somewhere new, yet still within reasonable distance of Kraków. 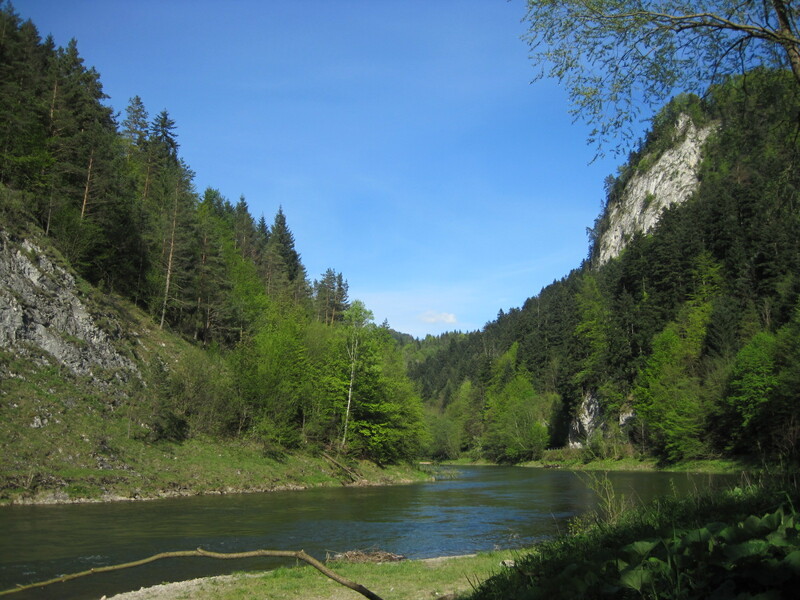 The Pieniny Mountains are not so high, nor so busy, and they have a beauty all their own. 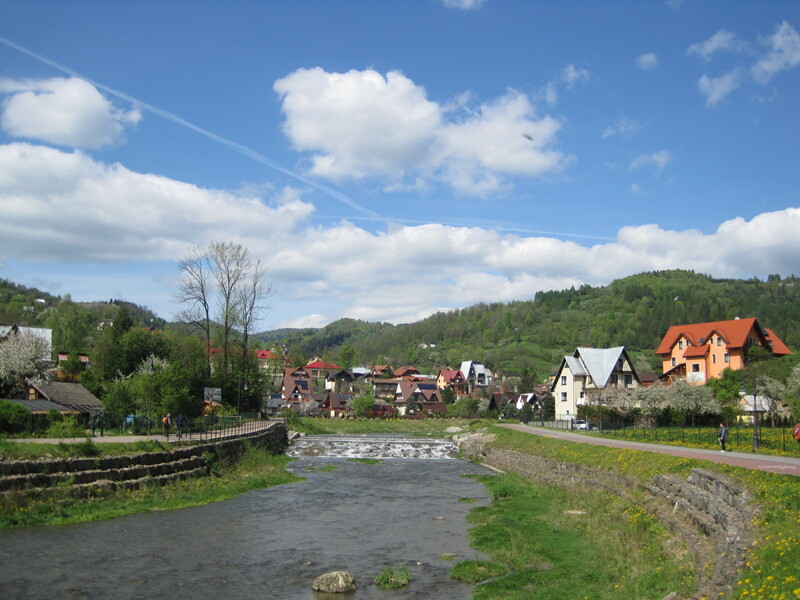 Szczawnica (rough pronounced ‘Sh-chav-nitsa’) sits in the river valley of the Grajcarek, a tributary of the Dunajec River which forms the border with Slovakia. Come with me on my walk, and see what you think. Not forgetting to look back to check the view behind- peaceful, isn’t it? 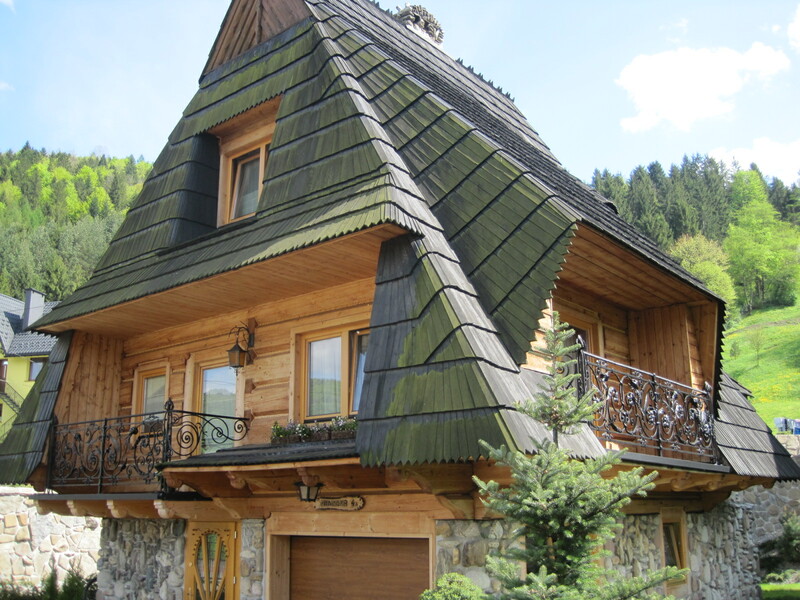 This was one of my favourite houses- just look at that roof! 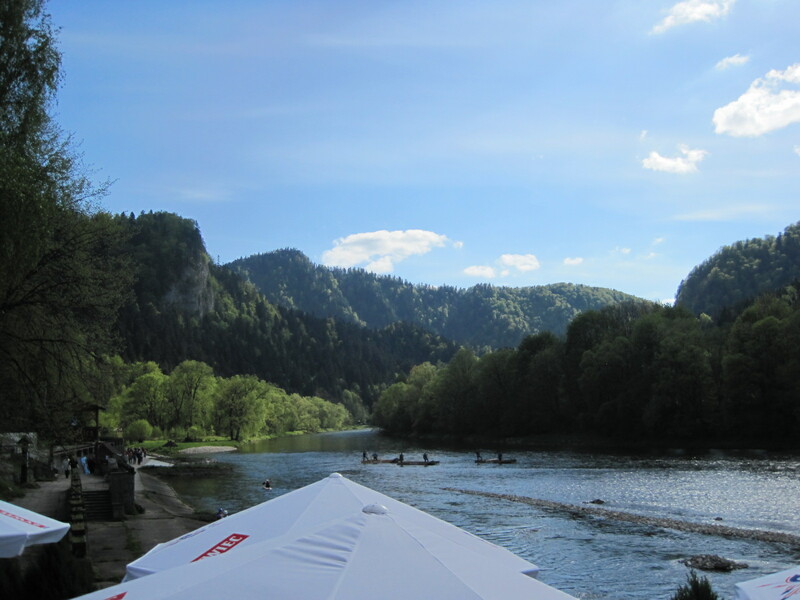 After many twists and turns the Grajcarek flows into the Dunajec, and the beckoning scenery becomes much more dramatic. 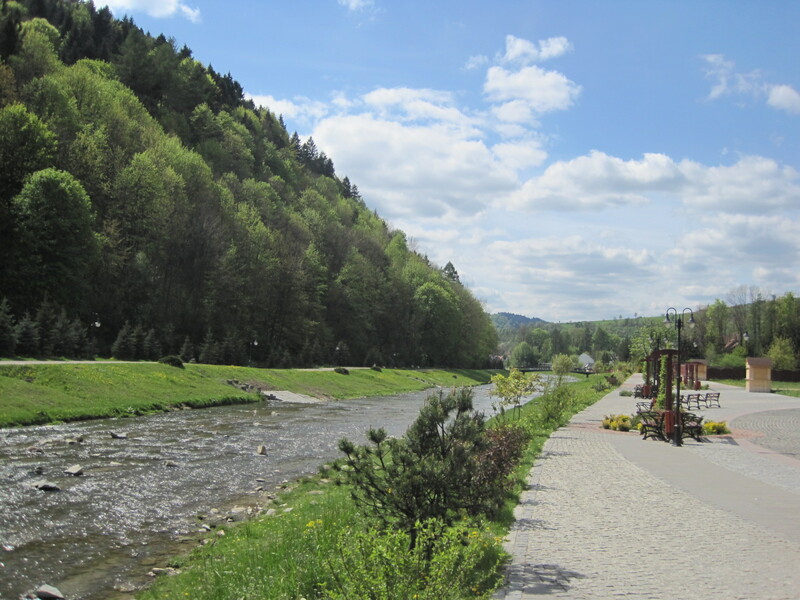 One of my reasons for choosing Szczawnica is that it sits at the end of a stretch of the Dunajec famed for river rafting. Not the white knuckle ride that phrase might conjure up for you, but nevertheless, a strong test of the skills of the boatmen. 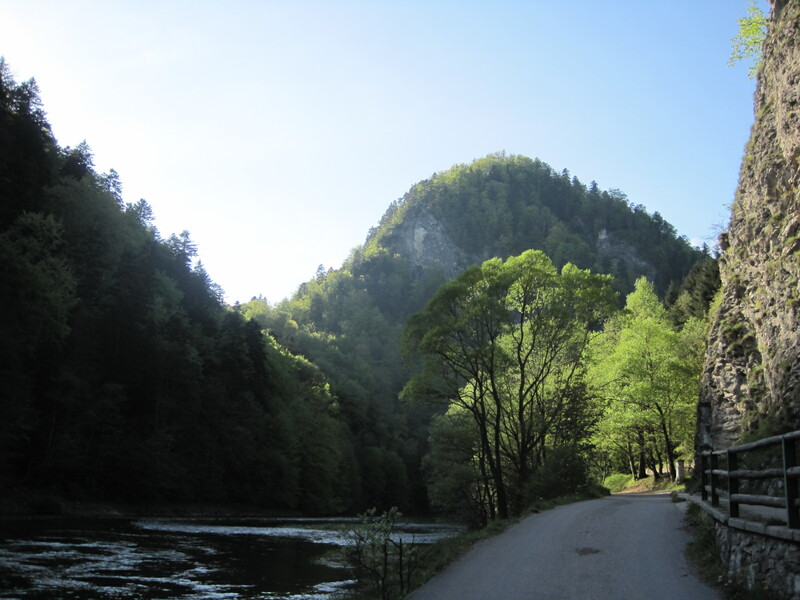 The Dunajec Gorge drew me to the area. No wonder the benches are empty! 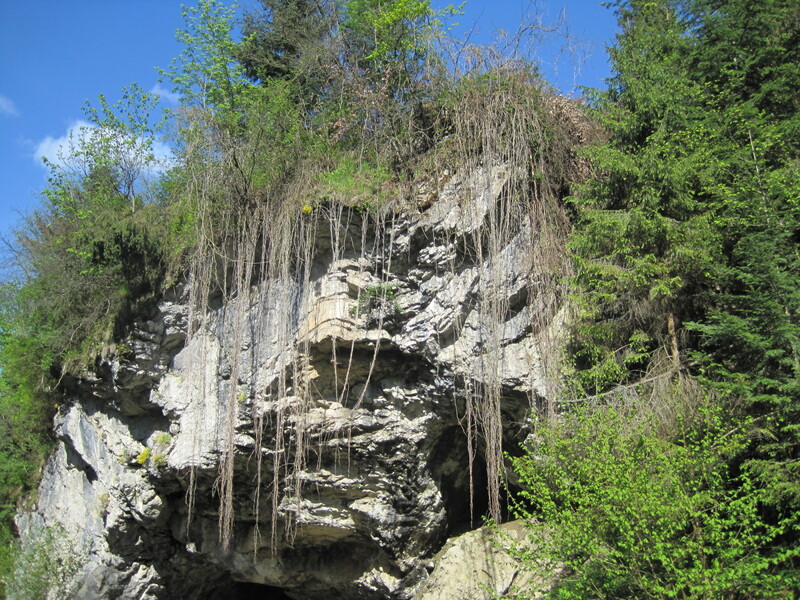 I wonder what might lurk in these caves? And what do we find, patiently waiting on the river bank? 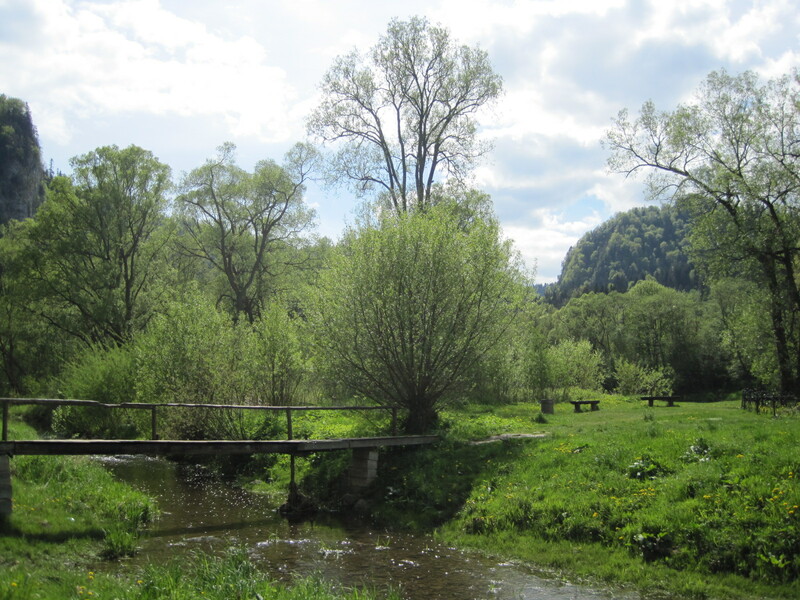 Wooden canoe trips have been organised through the Gorge since the early 19th Century, when customers came primarily from nearby castles at Niedzica and Czorstyn (more of these in a later post). 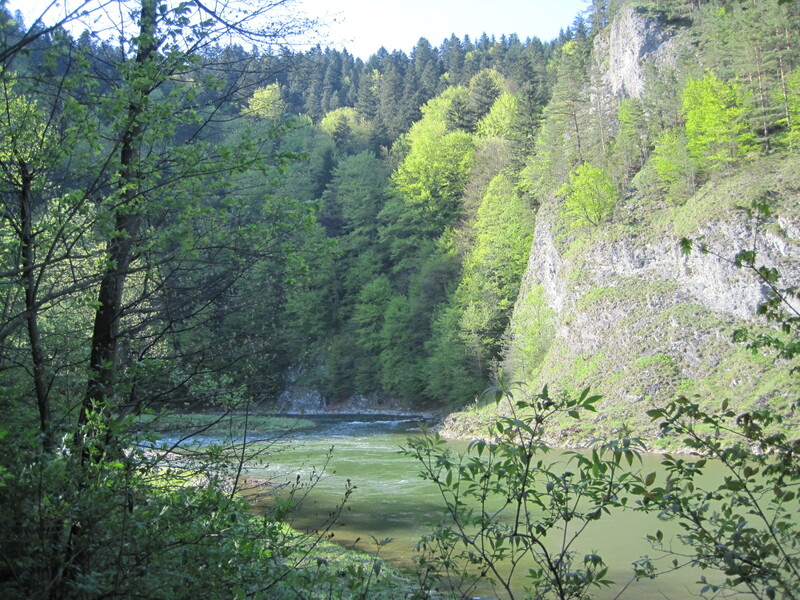 The Gorge loops through the valley, the limestone rock reaching 300 metres in height almost all the way. 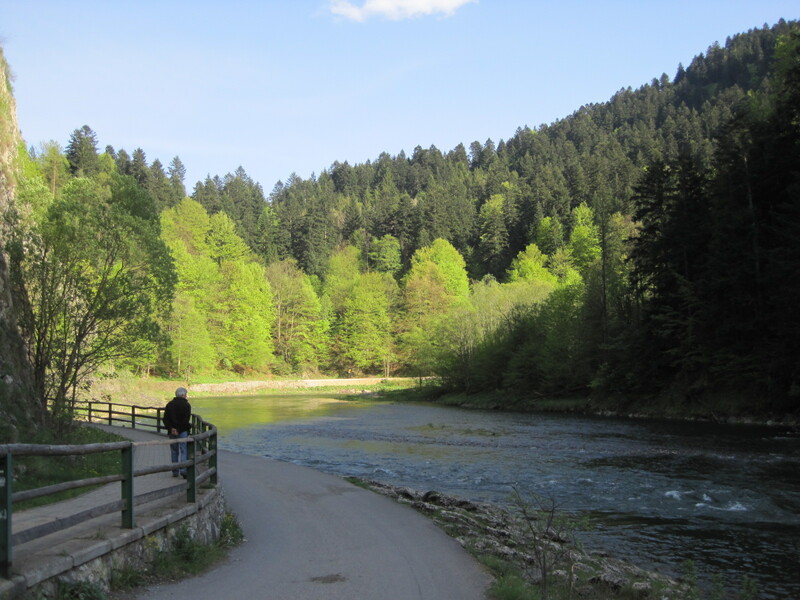 It makes for some very beautiful walking and cycling, not to mention the opportunity to river raft. 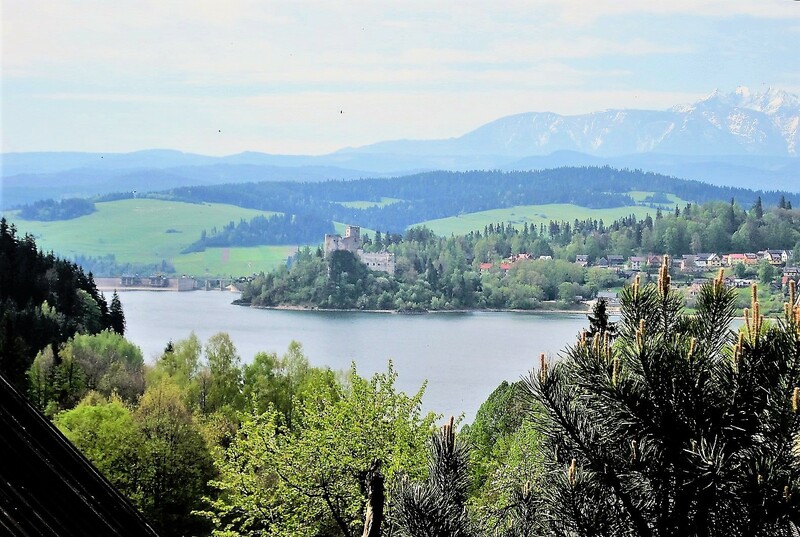 Families, walkers and cyclists all have access to this dramatic beauty, though Spring and Autumn are probably the times to see it at its peaceful best. 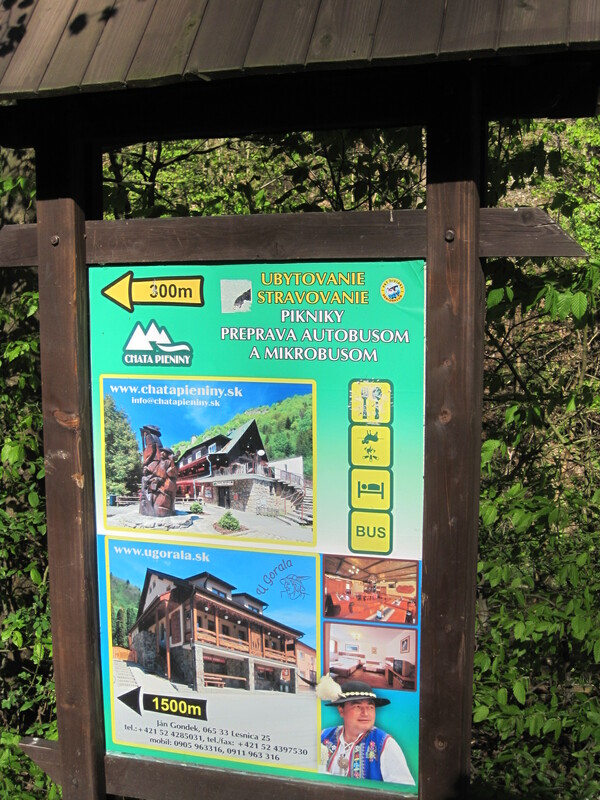 In Summer and on public holidays there are mountain huts where you can find food and information. 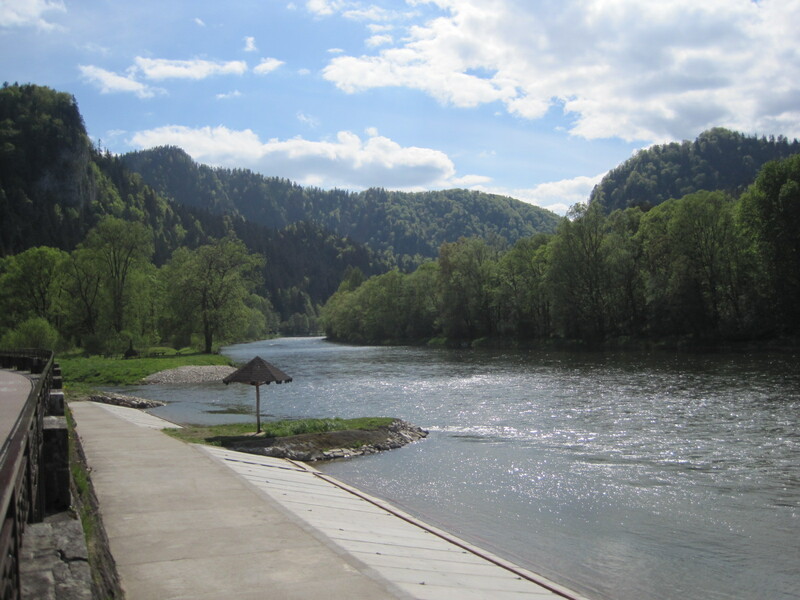 Without realising it I had crossed over the border into Slovakia, part of which is formed by the River Dunajec. 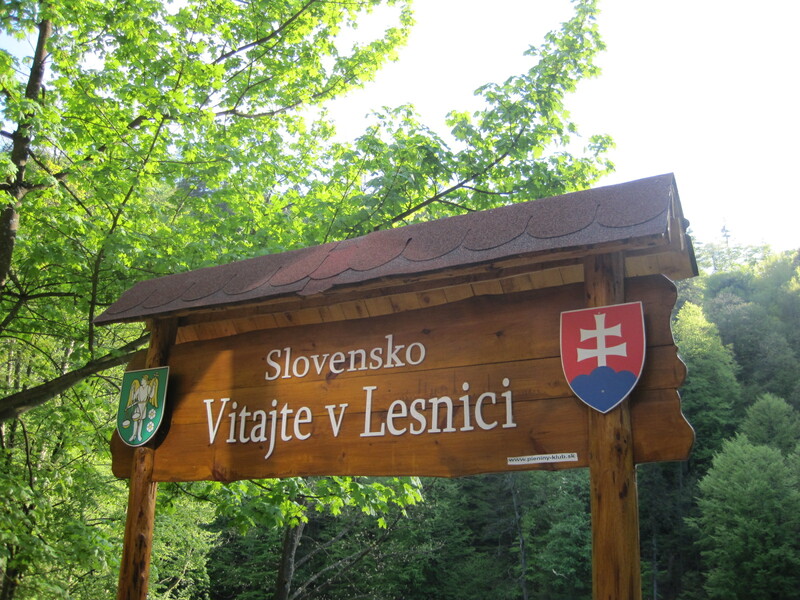 It felt quite strange, and looking at the remaining distance to Cerwony Klastor (approximately 2 hours, according to the sign) it seemed a good time to retrace my steps. 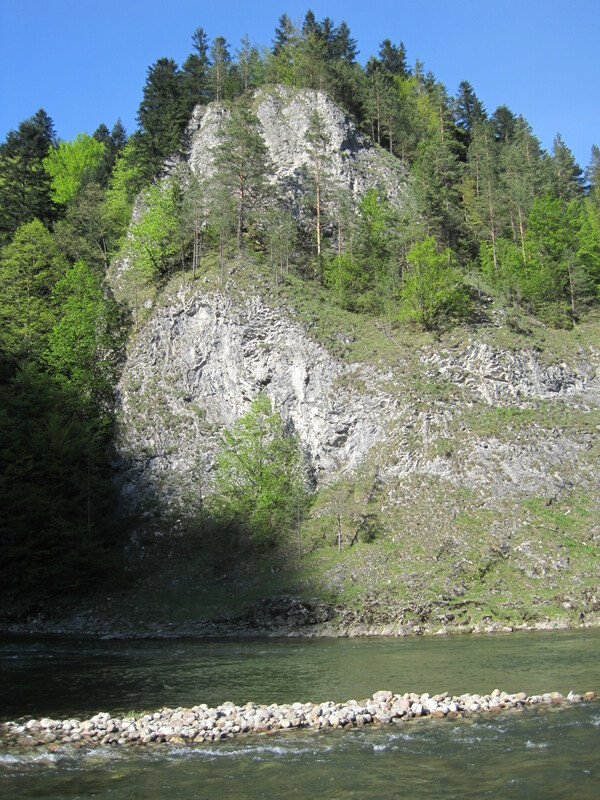 But not without first paying homage to one of the nation’s favourite sons, who loved to hike and ski in the mountains. 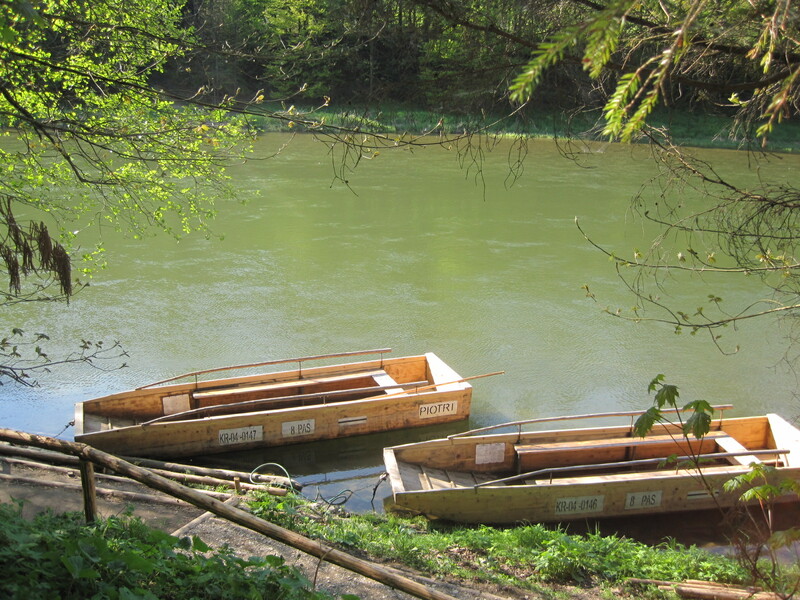 Where I saw, fast approaching round a bend in the river, the boatmen! But that needs to be the subject for another post. For now, I’m hoping that you’ve enjoyed our Monday walk. I certainly did! 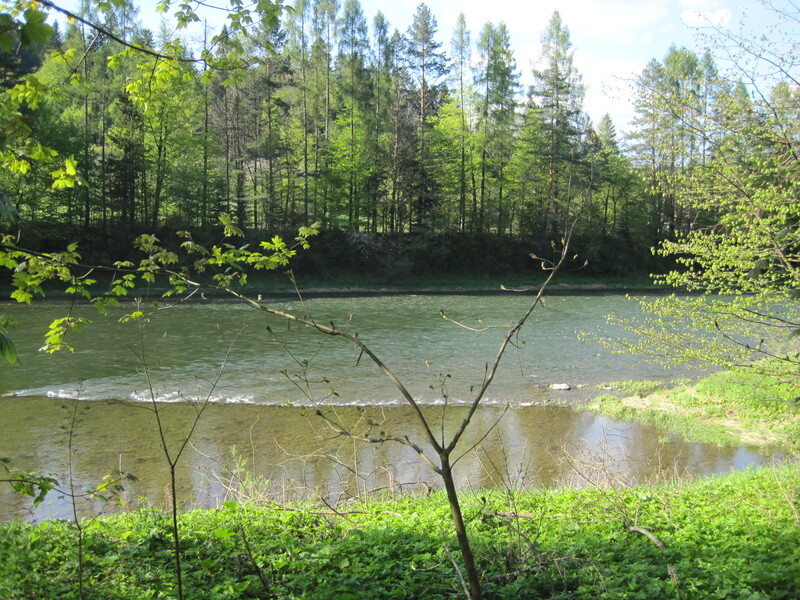 If you’d like to join in, you’re more than welcome to add a link to a walk you’ve enjoyed in the comments, or to link back to me from your post. Either way, I really don’t mind. I try to keep it free and easy so you can join in any day of the week. The more beautiful walks, the better- right? 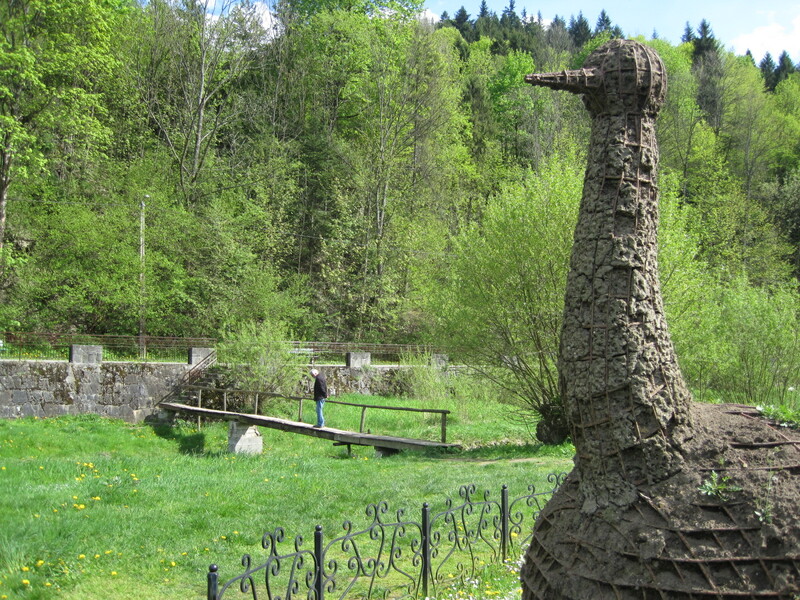 Whilst I was in Poland, kind people continued to contribute walks to cheer me up on my return. 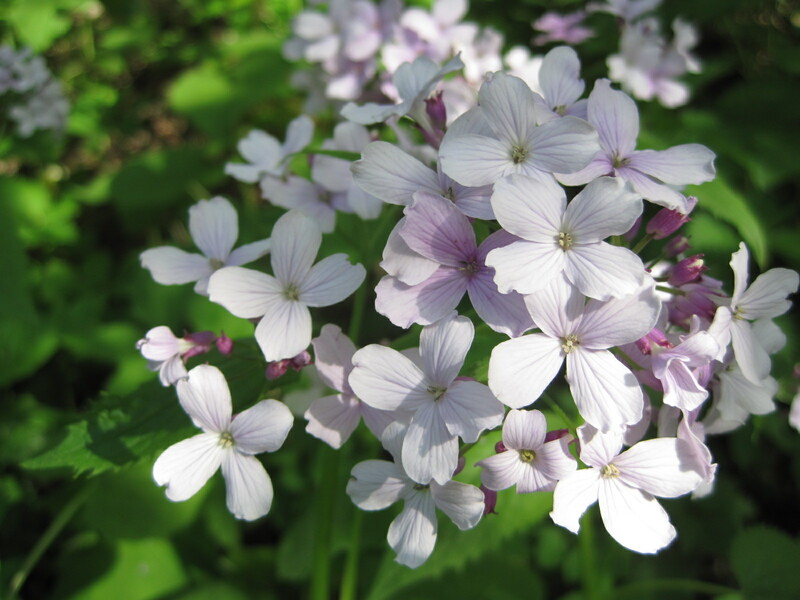 I’m delighted to be able to share them with you. Enjoy your walking. See you next time. And who can resist Amy’s Iphoneography? (is that spelt right?) What that girl can do with a flower! We’re going to be busy reading this week, aren’t we?